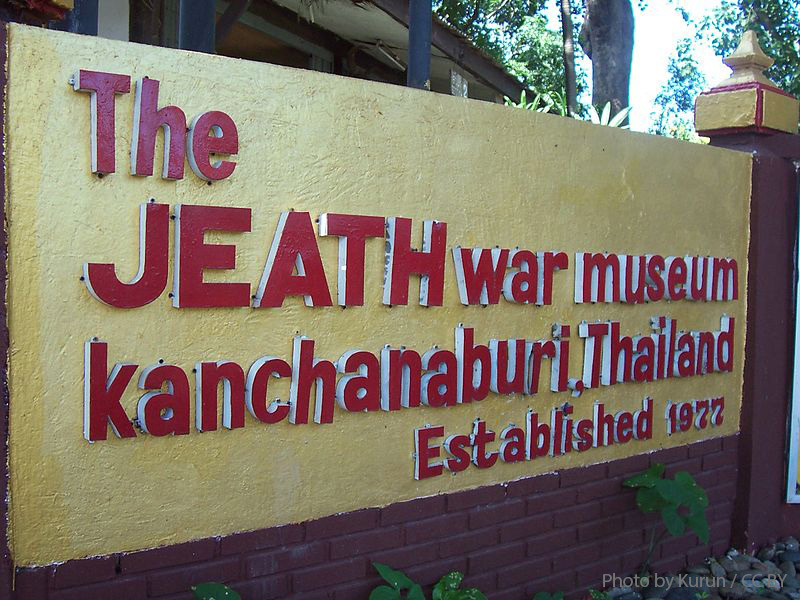 The JEATH War Museum was established in 1977 by the chief abbot of Wat Chai Chumphon Venerable and built on the temple grounds in memory of the many allied POW’s who built the famous bridge over the River Kwai. JEATH is an acronym for the Japanese, English, Australian, American, Thai and Hollanders who constructed this historic landmark under Japanese rule. 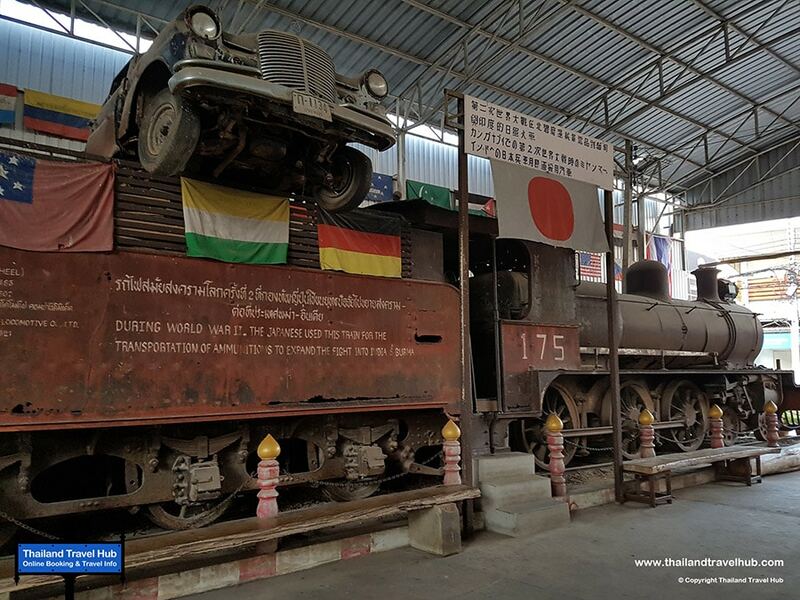 The bridge formed part of the 258 mile railway construction between Thanbyuzayat in Burma and Ban Pong in Thailand, and was essentially built to support and supply Japanese forces at the time. At 415 meters long it was originally constructed from wood before being destroyed by allied forces, then rebuilt using steel. The bridge is still in use today. One of the museum’s main attractions is its housing in an exact replica of a bamboo prisoner sleeping hut. The museum is divided into two sections with the first section mainly displaying the construction of the railway with photos, drawings and relics, which includes a bomb dropped by allied forces to destroy the bridge that failed to go off. The second section consists of visual displays of reconstructed bamboo huts where the POW’s lived, with some of the photos being donated by survivors of the horrific events. There are also personal effects on display which belonged to the workers which include maps, materials and weapons, as well as many interesting stories to read which all add to the museum’s authenticity. For ordinary, curious visitors and keen historians alike, the JEATH War Museum is an attraction not to be missed if only just to get an idea and feeling of the horror suffered by the prisoners. On a lighter note, the surrounding points of interest are abundant and few destinations in Asia offer more picturesque scenes and landscapes. 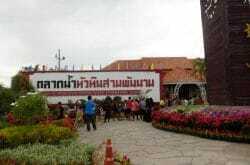 Kanchanaburi, where the museum is located, is now a typical and lively Thai town with many beautiful and magnificent flower gardens. 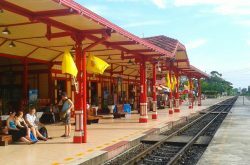 There are many hotels and lodges in the area starting at reasonable rates and mostly within close proximity to the museum and other surrounding attractions. It is said that the JEATH War Museum was once called the DEATH museum, but was later changed because of protests by locals due to the sombre name. 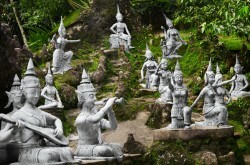 Whatever the name may be it is definitely worth a visit when in Thailand. There’s a lot to see and learn from this historic piece of World War 2 marvel.